Take a look at the schedule of events and plan your trip to San Jose today! The schedule listed below is subject to change. Please check back often for the latest information on the 2017 CABB Annual Conference. Do you find it difficult to communicate with certain people? Have you been caught by surprise at someone's reaction? Do you secretly wish that people would just respond the way you'd like them to? Do you have to sell, persuade or interact with others, including prospective or current clients, employees, co-workers, boss, vendors or others? Would you like to experience better relationships; both personal and professional? Move from experiencing GOOD to GREAT communication with others, by learning about DISC, one of the most widely used models for understanding behavioral differences in people. Developed by William Moulton Marston Ph.D., more than 75 years ago, DISC is an easy to follow and highly reliable behavioral assessment helping people to better understand and communicate with others. Allison will teach you not only how to identify your own communication style, but also about how to recognize the styles of others which can transform your relationships and results! Owner of her Executive Coaching and Consulting business, Allison focuses on effective Communication and Strategic Planning. Facilitator for the International Women Presidents' Organization (WPO) www.womenpresidentsorg.com, Allison leads two peer advisory groups of Bay Area multi-million dollar entrepreneurial women presidents and CEO's. She is also a group leader for ProVisors, a community of professionals who serve their clients as trusted advisors and share the highest standards of integrity, performance and accountability. Prior to her executive coaching business, Allison owned a successful structural engineering firm with her husband for 23 years. She is certified as a DISC Consultant, One Page Business Plan® Specialist and Professional Coach. With a love of business and behavioral science, Allison is a Master Connector who seeks to understand and help people. She has made a difference with hundreds of entrepreneurs and executives in various industries including: professional services, manufacturing, retail, construction and wineries, many of which are family owned. Deal-breakers will be considered during the workshop from problems submitted before the conference. If you are interested in submitting a problem that is keeping your listing from selling or deal from closing, complete the Patient Intake Form and submit to cabb@cabb.org (link sends e-mail) by Friday, March 31st. The deal doctors will evaluate each patient and decide which deals live and which deals die. Len's goal is to provide the highest level of professionalism, confidentiality, and financial results, while minimizing the time, cost, and stress typically experienced during the transfer of ownership of privately held businesses. Bill Priest has been a CABB member for over 25 years, and is a founding member of its Legal & Forms Committee. He regularly deals with brokers, sellers, buyers, and landlords. He negotiates, drafts documentation for and mediates and litigates all types of disputes on a regular basis, and has "seen it all" in dealing with these issues. With offices in San Jose and Palm Springs, he serves the business and brokerage community statewide. 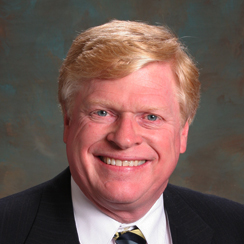 Bill Priest created and successfully fought to include a mandatory mediation clause in all CABB forms, requiring brokers and other parties to mediate disputes prior to resorting to legal action. Many of our Members question the value of mandatory mediation, and want to know if it is beneficial. Bill will discuss this and other legal aspects affecting business brokerage professionals. As the size and/or complexity of a transaction increases, the need for creative and innovative structuring alternatives also increases. Structuring often requires balancing the buyer's interest with those of co-investors, sellers, managers and lenders. In a transaction, the Seller and Buyer really have similar tax objectives. The Seller desires to maximize after-sale tax proceeds while the Buyer desires to maximize operational cash flow. Tax deductions impact both these areas which are influenced by the tax components of the structure used in the transaction. When negotiating a transaction the Seller and Buyer should not attempt to WIN the tax game but instead should work toward achieving some level of tax parity. Structuring design is what will help the Seller and Buyer achieve tax parity. This presentation will cover simple to complex structuring strategies using real life transaction data. Also included as a part of this presentation will be an update on the status of any relevant tax issues for Year 2016. Thank you to all of our 2017 Sponsors and Exhibitors who make our conference possible. Check back frequently for more information on the sponsors and exhibitors who will be attending the conference.